In 1996 I was working at BT for a thoughtful boss who soon realized I was a passionate scuba diver. When I left my job I was astonished and delighted to discover that she had taken time and made the effort to seek out Mikes Dive Store in Chiswick to buy me a thank you present: an Underwater Kinetics Mini Q40 torch. This is a handy little backup flashlight, and a piece of equipment I still use to this day. 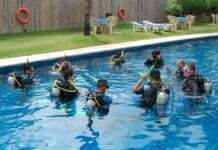 Not everyone has the knowledge and resources to search for a suitable present for an ardent scuba diver. So with Christmas / ‘The Holidays’ / Chanukah / the Winter Solstice on the horizon, let’s make it easy for you. Here are some handy scuba Santa stocking fillers that any diver would be delighted to receive. Drysuit divers understand that when you love and look after your latex or neoprene drysuit seals, you can prolong their lifespan. One way to do this is to use a water based seal slip lubricant when donning and doffing your drysuit. And unlike talc, it won’t eventually jam up your low-pressure inflator suit valve. We all know that talc is a useful product for dusting down neoprene seals. However if you do get carried away, and don’t maintain your suit, over time you can gum up your dry suit inflator causing malfunction problems. The LPI valve can stick open resulting in a potential uncontrolled ascent. Lube must be latex and neoprene friendly, otherwise, you are potentially shortening the life of your seals, so forget Petroleum Jelly. O’Three’s ‘Jollop’ has been designed for drysuit wrist seals. Simply squeeze a small amount of Jollop onto the inside surface of the seal. Then squeeze and rub the seal so that the Jollop is evenly spread around the inside of the seal. You will find that when you don your suit, your hand slips really easily through the seal. You can also use Jollop when taking off your suit. It is particularly handy when you have been diving in cold water and your hands are chilled down. Simply rub a pea-sized lump of Jollop around the inside of your wrist seal. You won’t end up fighting to get your seal off – it will just glide off nicely. Available in 250ml and 600ml bottles.  From £4.95 (~$6.50 USD / €5.60 EUR) – good for wetsuit divers, drysuit divers, cold water divers, technical divers. On 21st June 1919, Rear Admiral Ludwig von Reuter ordered the scuttling of the German High Seas Fleet. It was and remains to this day, the biggest mass suicide by any Navy in the world. We’re coming up to the 100th anniversary of this significant event, and no doubt a plethora of books will be published. One book that ardent wreck and Scapa Flow fans ought to grab is Rod Macdonald’s ‘Dive Scapa Flow’. He first published this book in 1990. He has recently done a fundamental rewrite and the only thing that remains from the 1990 book is the title. Macdonald’s knowledge comes across in his enthusiastic writing. The prose is clear, definitive and loaded with facts, figures and safety information. ‘Dive Scapa Flow’ covers military and naval history, and the economics and history of the salvaging of the wrecks. There are plenty of illustrations and sonar pictures that make this the ideal book to read just before you dive on the wrecks. 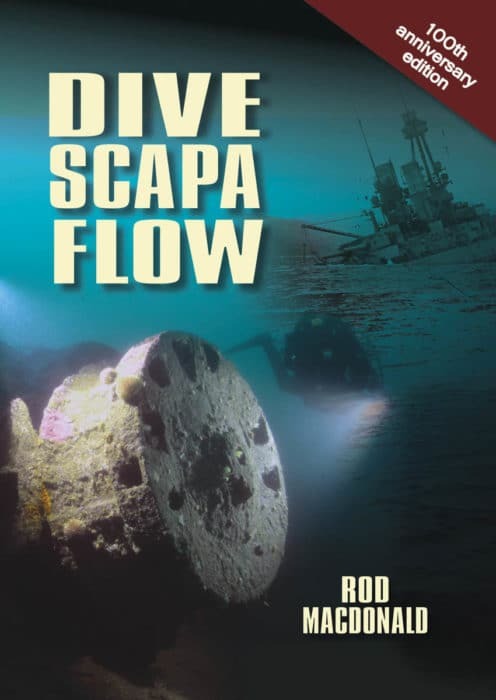 For instance, salient points such as guns, boilers, and rudders are highlighted in the new wreck illustrations so that you get the most out of diving Scapa Flow. Every diver needs an emergency cutting device or tool that provides a swift and safe cut to self-rescue or to assist another diver. When I learned to dive in the early 90’s, the de-rigeur was to get your hands on the biggest knife possible, hence I did several dives with a massive machete knife strapped to my leg. Thankfully common sense has prevailed because today the majority of divers, including me, prefer a compact cutting tool, that can be mounted anywhere on our kit/body. The Dive Rite Line Cutter is a respected cutting tool and can be classed as a simple Z knife. It has a 420 surgical grade stainless steel blade that is sharper than a standard dive knife. The blade easily cuts through monofilament and braided line. Dive Rite has housed the user changeable blade in a heavy-duty fiber reinforced nylon body, therefore unlike a knife, this device is safer for the diver to use because the diver cannot accidentally cut themselves. The line cutter is then secured in a brightly colored red nylon pouch (that shows up a treat), and a velcro lanyard c/w velcro prevents the line cutter from being accidentally deployed. There are a number of ways that this Line Cutter can be attached to the diver. They can thread the pouch onto webbing – either horizontally or vertically – or attach the bungee to the pouch straps and wear it on an arm. In 1980 Martyn Farr published his first edition of ‘The Darkness Beckons’. The highly regarded and respected “definitive book” on the history of cave diving. Farr has recently updated this cave bible by completely rewriting his third edition, thus creating a brand new book. If you already possess the second edition (published 1990) of The Darkness Beckons, you will certainly want to buy this third edition. Farr has included a significant amount of new material. It makes for essential reading for cave divers worldwide and a great book for any diver with a thirst for adventure. The true stories of individual caves and projects and human endeavor against the odds are compelling, and the book is lavishly illustrated with diagrams, maps and plenty of stunning photographs from leading photographers. Who can forget the video that did the rounds earlier this year of a plastic straw being pulled out of the nose of a turtle? This footage shocked the CEO of Oakman Inns into making the decision that the UK pub and restaurant chain would no longer provide plastic straws, and only give out a compostable straw upon request. (Oakman Inns had been using 100,000 straws per month). Just over four months later Weatherspoons also called time on the plastic straw. There is, however, a long way to go before plastic straws are no more. There are occasions when you might want to use a straw. Mudder provides a natty environmental solution. 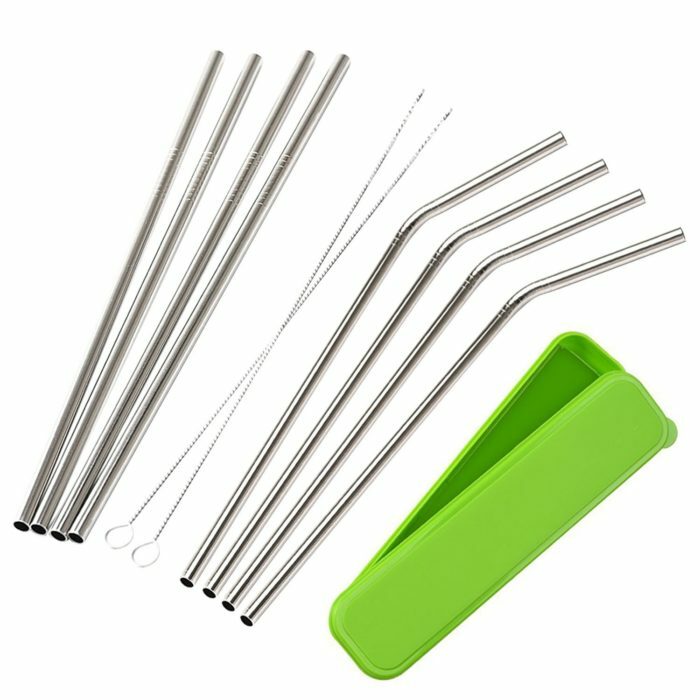 A set of eight food-grade stainless steel straws, two cleaning brushes, and a portable storage box to keep your straws clean and easy to carry. The straws are dishwasher safe and reusable. You will want to mark up certain items of your diving equipment in a durable and creative way to avoid getting your kit mixed up with someone else, to stop confusion on a boat, and help prevent theft. Some equipment is easy to mark up, ie a mask. Simply fit it with a neoprene strap and then sew or write your name and phone number on the strap. Other kit can be a bit more challenging to mark up. Enter stage left, GearMarker. This small bottle of non-toxic 3D water-resistant paint is completely waterproof when dry. (For the best result give it 72 hours before taking the marked item diving). The paint stands proud on any surface. Once dry it is very hard to pick off, and it is flexible and stretchy enough so that you can use it on neoprene items. To apply simply squeeze the highly visible, quick-drying colored ink out of the bottle, and write your name on your kit. It sticks to pretty much any surface including slick smooth items such as fins. You can also apply it to fabric, leather, glass, metal, plastic, silicone and Cordura. The whole process takes a few minutes. 3D GearMarker Paint comes in 11 bright colors: Black, Blue, Glow-in-the-dark Orange, Gold, Neon Green, Neon Orange, Neon Pink, Neon Yellow, Red, Silver, White. A smart way to carry guideline in a compact manner is to use a spool because they are quick to deploy and re-stow. Deep Six has manufactured two natty line spools that can be used to deploy a D-SMB (delayed surface marker buoy), make a jump in a cave or run a line to help survey a dive site. Deep Six’s quality spools are machined from solid Delrin, hence they are strong and neutrally buoyant. They come wound with highly visible bright orange line and a stainless steel double ended bolt snap. Available in two line lengths: 10 meters and 20 meters. 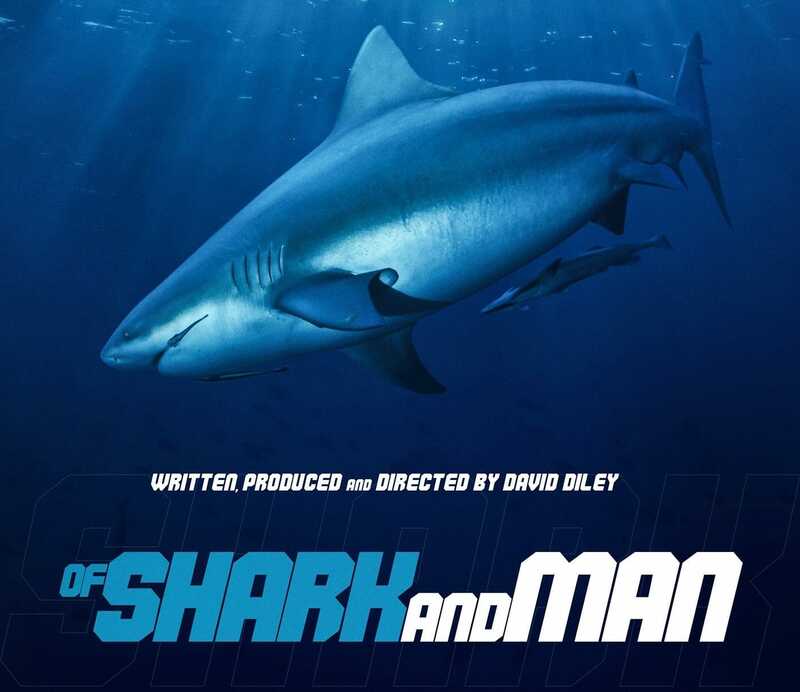 It took Brit cinematographer David Diley seven years to make his debut film ‘Of Shark And Man’. This shark documentary tells the inspirational, untold story of Shark Reef in Fiji. This is home to one of the world’s largest population of Bull Sharks. 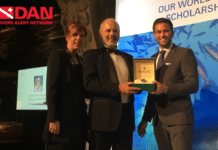 This is the first time that this marine conservation success story, where the shark is the hero, has ever been comprehensively documented and showcased to the world. Sometimes you need a large soft practical bag that can be scrunched up and stashed away. Weezle’s solution is a new twist on the iconic duffle bag. The result is an environmentally friendly, ethically produced cotton bag made from non-bleached canvas. This durable bag has a large 30cm opening that is fastened by a rope, threaded through brass eyelets. It is capable of carrying at least 15 kgs and has a capacity of 30 liters. As for care, when it gets a bit grubby, just throw it into the washing machine. The Weezle Duffle Bag is perfect for gym gear, shopping, clothes, thermal underwear or as an expedition day bag. And when you wear it out in several years time, you can cut out the brass eyelets, compost the bag and recycle the brass. Not every computer comes with a protective case, a fact that Shearwater Research has recognized. They have therefore developed a hard shell case for their Petrel and Perdix computers, that is suitably sized for most other dive computers on the market. The case is lined with foam that you can remove if you wish. The internal size of the Eva case is approximately 7cm x 8cm by 4cm deep. Simply unzip the lid of the black case using either or both zips and secure your computer in place using the interior elasticated straps and velcro tabs. Trying to find genuine eco-friendly cosmetics can be challenging, especially when we are traveling. 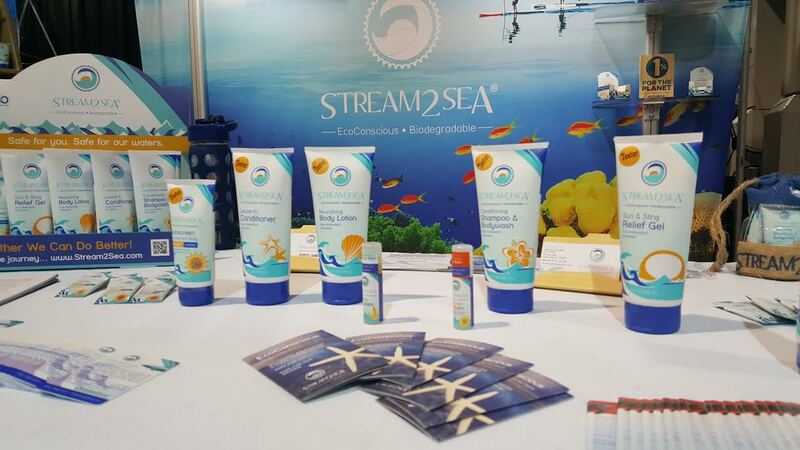 Stream2Sea state that they have developed a range of products that are designed to help divers protect the aquatic environment whilst also protecting their skin from damaging UV sunlight. Extend the life of your drysuit by storing it in an optimal manner. 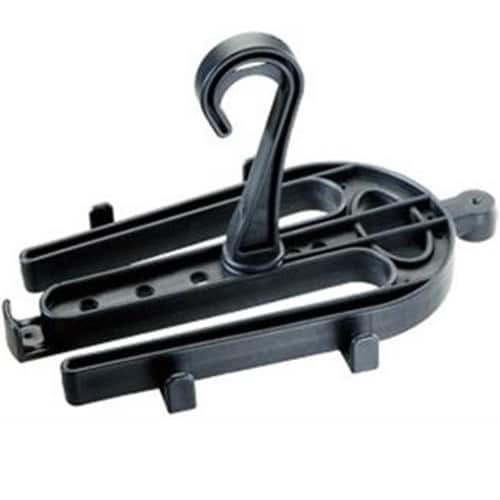 This heavy duty hanger has been specifically designed to hang your drysuit up by its boots to avoid strain and creases on the suit. Simply slide each boot into a slot and this will help your suit to dry quickly and thoroughly. It is worth keeping your suit unzipped to allow for air circulation/ventilation. The hanger has a large strong hook and a dummy cylinder valve so that you can attach your A clamp / international regulator to it. (If you are diving a DIN regulator this will not work). Coloured line is not a marketing gimmick. It is easier to follow when diving / making an ascent in low viz or through plankton blooms. It is easy to replace the line on your reel if you are looking for a more colorful life, or you want to upgrade your line. Kent Tooling sells three colors: orange, yellow and pink. The line has a decent breaking strain of 100kg and comes in 30, 40, 50, 75, 100, 125, 150, 200, 300, 400, 500 and 600-meter lengths. We hate it when we read about a character donning their ‘flippers’, ‘goggles’ and ‘oxygen tank’. And then diving in a way that cannot happen in real life. This doesn’t happen in an Eric Douglas novel. Douglas has now written nine novels featuring his protagonist, a marine photographer called Mike Scott. The books are available in many formats: Kindle, iBook, and paperback. Book 8 features the Christ of the Abyss statue in Key Largo and bizarre shark behavior. Was this caused by a narco sub full of cocaine? If you are looking for a lighthearted, entertaining distraction during the holiday period, the Scott series might well be the answer. You totally forgot about the best present for me and my diving partner! Glad you like your Buddy-Watcher Jef! 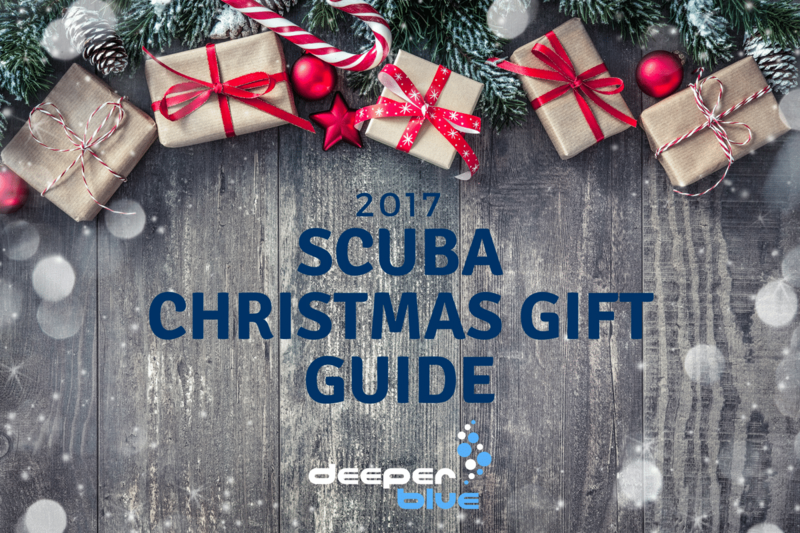 Friends and relatives often want to buy a present for a diver, but they don’t always have a massive budget. These items were purposely chosen because they are useful for any diver, and the price is below £35.00.